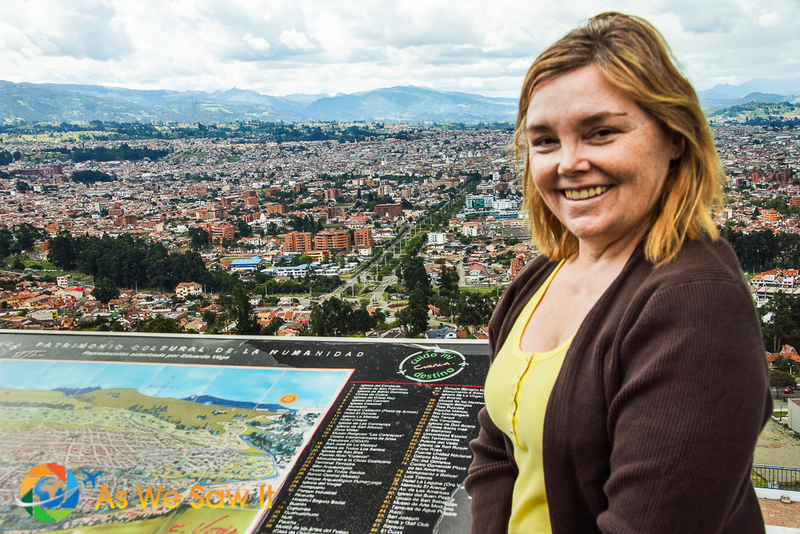 Sitting high in a valley in the Andes, Cuenca is Ecuador’s third-largest city and some would say its prettiest city. Certainly its beauty is one reason so many expats have moved to the city recently. Ever since it was founded in 1557, its colonial center, El Centro, has been inhabited. Unlike some Spanish Colonial towns, it’s not a touristy museum; it shows all the lived-in wear and tear that any place would have after all that time. And that gives it much of its character. UNESCO's website listed a lot of reasons for it, but basically Cuenca is a planned Spanish colonial city, planned in the mid-1500, which means Renaissance urban planning in the Americas. Cuenca has respected the original formal town plan ever since. The various populations and cultures in the city have intermingled, so there are no specifically Spanish or indigenous areas. 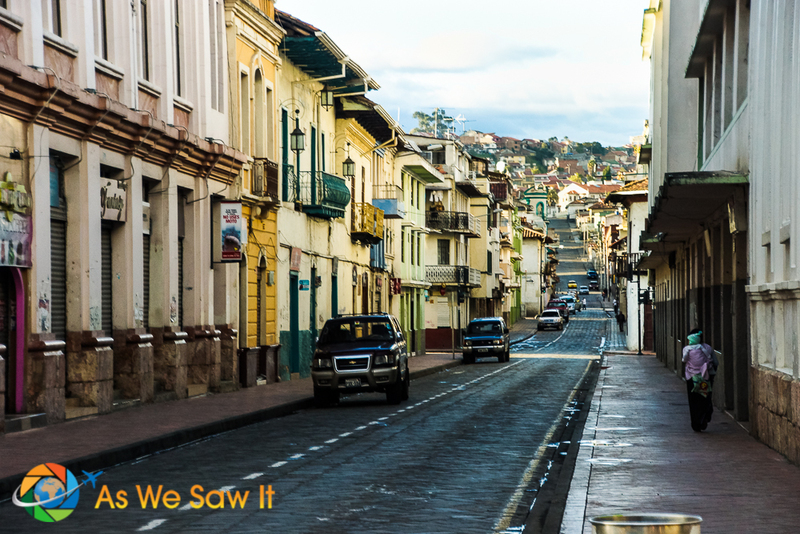 Cuenca is a blend of architecture from all the different societies and cultures that live here. It is laid out on a strict grid of perpendicular streets stretching out from Parque Calderón, the main square, where the seat of the Town Council, the Office of the Governor, two cathedrals, and the Law Courts are located. 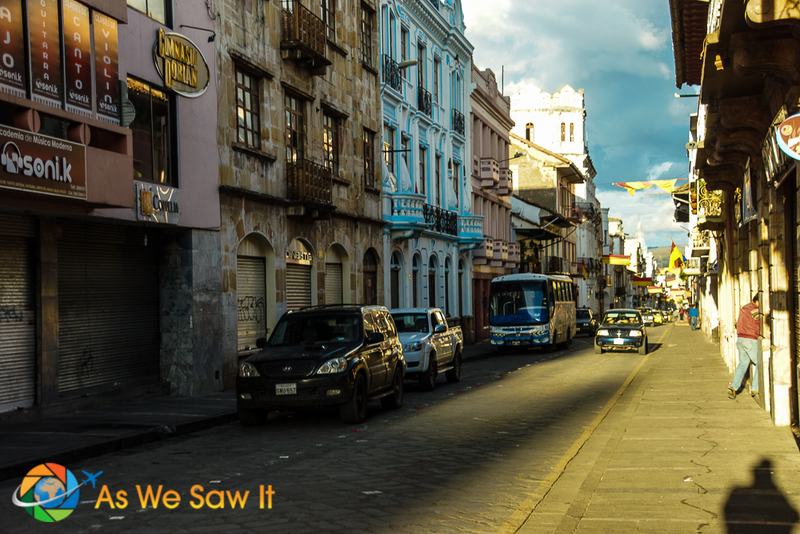 … but El Centro is just as pretty when its cobblestones are wet from rain. 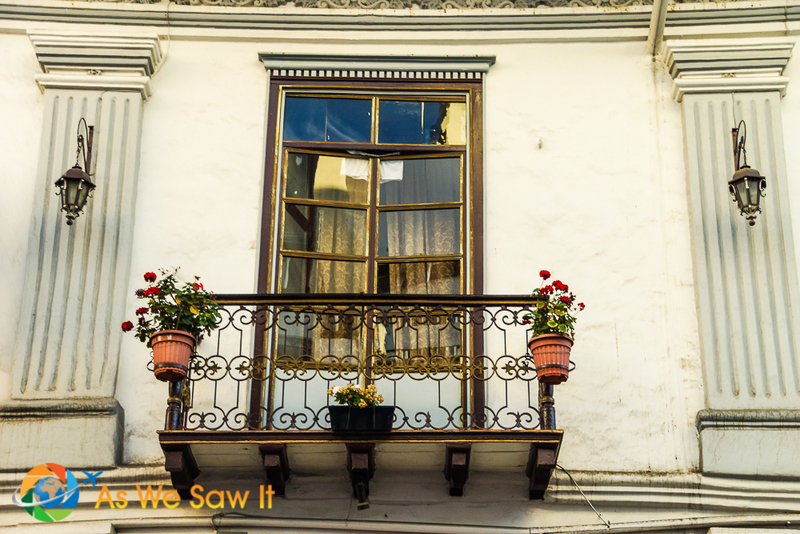 With all of the detailed woodwork on their façades, windows and doors, Cuenca's buildings are charming. No matter where you walk you'll find graceful ironwork balconies overhead. 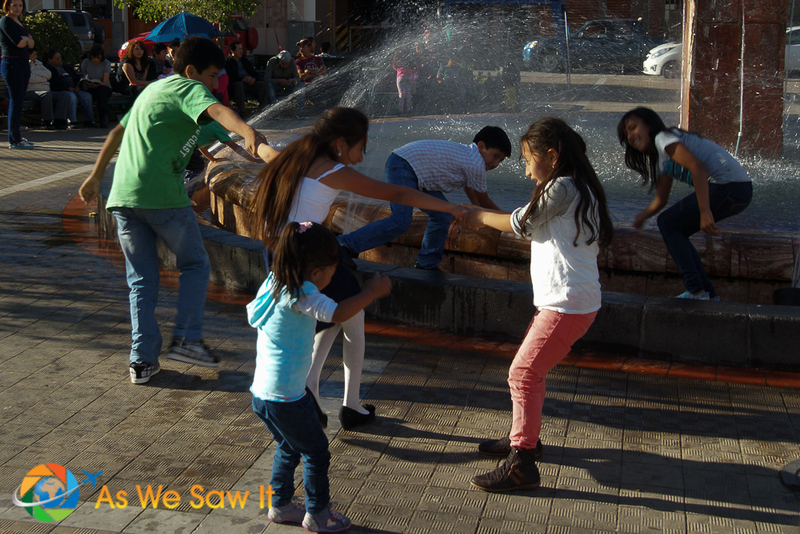 Cuenca's tourist website can be found here. Lodging: Check hotel prices at Hotels Combined or Booking.com. We have had good experiences with Get Your Guide, a reputable source for booking a wide variety of local tours, attractions and activities. That's why we've chosen to affiliate ourselves with them. 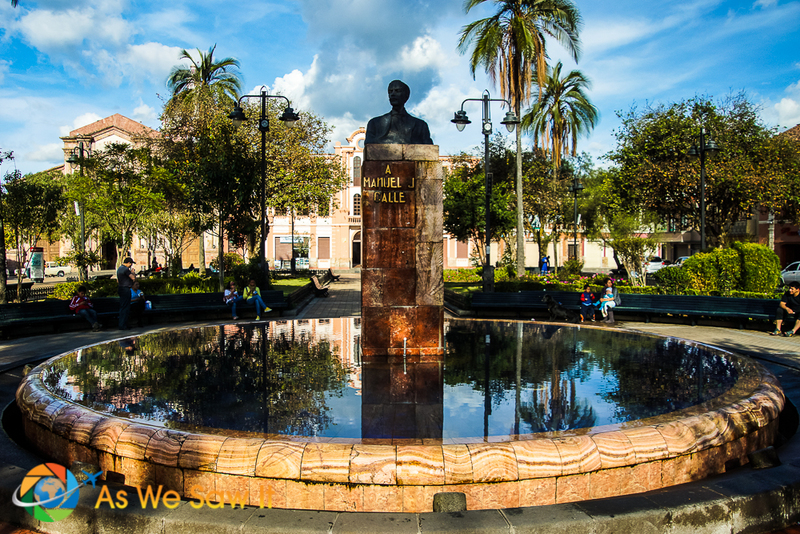 Find a list of Cuenca day trips and tours here. 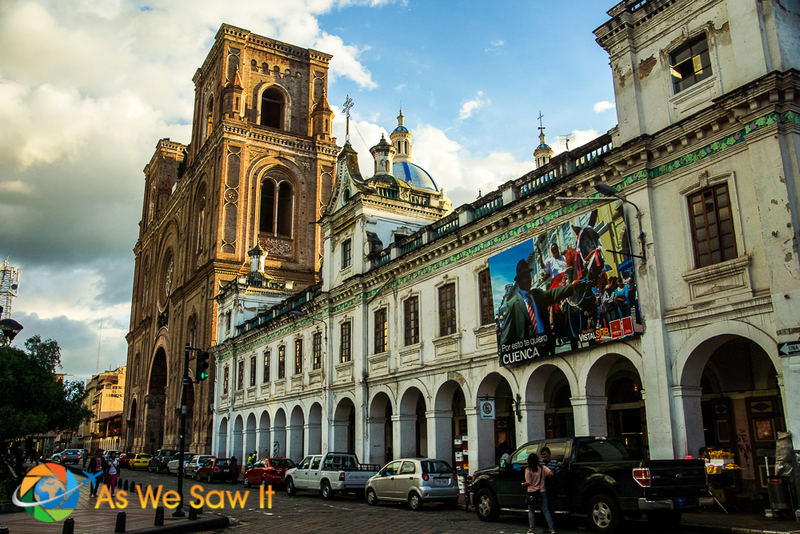 For more sightseeing, see our Ecuador photo galleries here. See Cuenca from the air on Google Maps here. Zoom, scroll around and explore! Pin it to Pinterest or share it with your Facebook friends. I really loved Cuenca, not just for the beautiful architecture and abundant green spaces, but also for the laid-back vibes I got. I heard that traffic is getting increasingly worse (those roads just aren’t built for that many vehicles), which is a real pity. 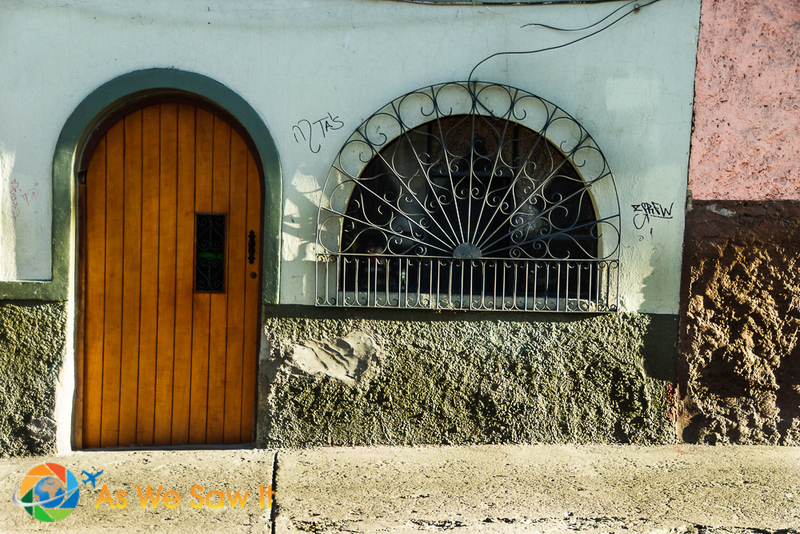 Hopefully Cuenca can keep up with the times without losing its unique character! We heard that Cuenca is installing a tram. If they do, that will make a nice addition to the bus. Not sure if it will be as much of a bargain as the 25-cent bus, though. Netx time you both make it to Spain, we’ll go to its namesake city in the arid La Mancha region. I’ve worked in the region, but never once been to its capital, which is said to be lovely. Absolutely! We haven’t made it south of Madrid yet, and that would be a ton of fun! 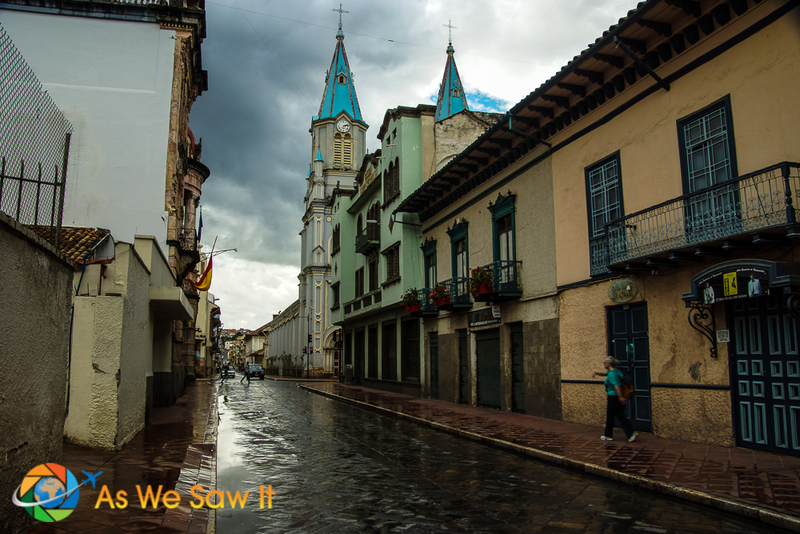 Have you been to Cuenca yet?